There are two things I didn’t entirely grasp upon college graduation, and they hit me like a ton of bricks when I started to send out job applications. Secondly, the difficulty of landing a job varies depending on your city and your circumstances. As someone who has been through the ringer with applications, interviews, and follow-ups, I’m here with a few tips of my own to help you navigate your job hunt. Focus on self-care. Especially as a creative, no matter your concentration, it’s easy to burn yourself out. We pour our hearts into our work, build a portfolio we’re proud of, and then start comparing ourselves to other entry-level individuals vying for the same jobs. Suddenly all our hard work feels insignificant – and that’s dangerous territory, my friend. You need to feel your best when you walk into an interview, otherwise your potential employer will know something is off. Pull yourself up. Instead of negatively comparing your work to others, find out why you like specific pieces and styles, and make an effort to incorporate those qualities into your own work. Keep it moving. Stay active. Even if you aren’t about a gym schedule, go on daily walks and get some fresh air. I promise, it will keep you sane. Do your (new) thing. Find creative outlets that will enhance your life – like cooking, yoga, or ranking all of Austin’s tacos (okay, that may not make you feel great in the end, but hell if it won’t set you apart from the crowd during an interview). Recuperate. Reward yourself with eight hours of sleep every night and always take your vitamins. And allergy meds, because Cedar Fever is real. Now that you’ve given yourself some TLC, it’s time to take a look a some job apps. 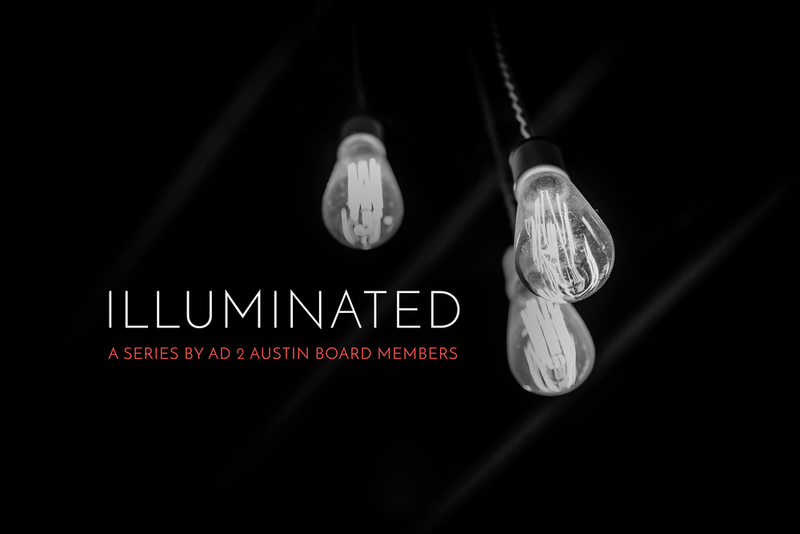 Unfortunately, finding a job as a green ATX creative means you can’t just show off your best work, you also have to prove your creativity during the hiring process. If you really want the job, you have to follow up, be persistent, and do it all with flair. Let your effort show. Tailor your follow-up to your potential employer. For example, if you want a job with a social media agency, you could demonstrate your social savvy with an Instagram grid directed toward them. Write it down. Keep track of where you’ve applied, for which positions, and how to get ahold of a real human being at each company. Google Sheets is your friend. Lastly, it’s important not to let your job hunt leak into other areas of your life. The moment you have to make an effort to stop thinking about the job you don’t have is the moment you need to reevaluate. Get a life (crush). Pick out role models in your field based not only on their work, but also on the lifestyles they have built for themselves. Then, use their paths to success as a guide to getting the career you want. Say yes more. Be open to opportunities to broaden your horizons, skills, and circles. In my experience, this pays off in unexpected ways. Be a part of something bigger. There are many national clubs, non-profits, and other organizations that cater to each industry and discipline (ahem, Ad 2 Austin & Ad 2 National). By joining a committee or a board, you can stay actively engaged in your field even while unemployed. You’ll have immediate common ground with everyone involved, and your contact list will grow like a weed. Job searching is only as emotionally draining as you allow it to be, and these tips have helped me out of a lot of funks. If you’re on the hunt yourself, good luck! If not, help out a friend and share this with someone who is.